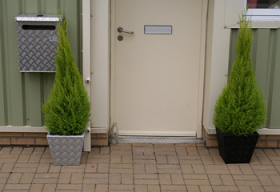 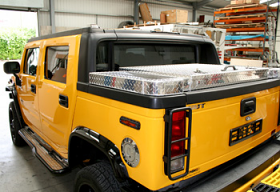 N & J Aluminium Linings Ltd manufacture fabulous quality, hand built aluminium products, which we package with reliable service and extremely competitive pricing. 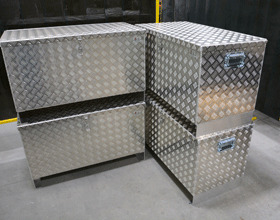 All products include quality locks, hinges, seals and gas struts with no compromise. 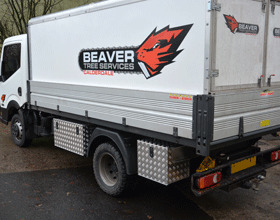 You can be assured that you will receive speedy delivery and excellent customer care with goods being delivered promptly via courier direct to your door!! 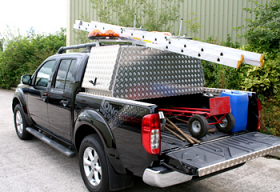 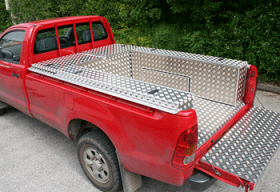 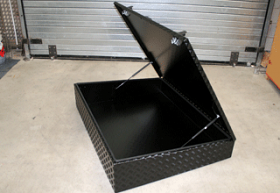 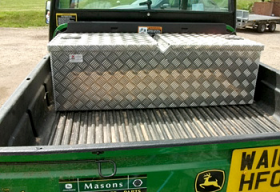 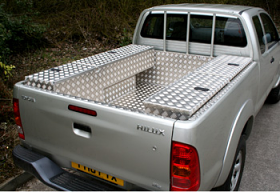 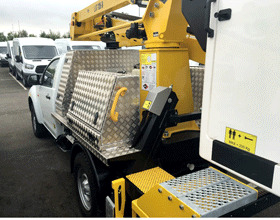 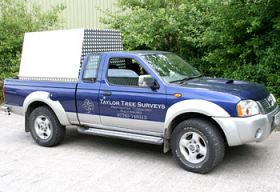 Aluminium Boxes Fitted to a Pickup Mounted Platform.